Yesterday, the Parliamentary Assembly of the Council of Europe elected the new judge in respect of Montenegro at the European Court of Human Rights. With a large majority (101 of 160 votes cast), Ms Ivana Jelić was elected. She will succeed her predecessor Nebojša Vučinić within three months. The new judge comes from academia and was until now associate professor of the Faculty of Law and Faculty of Political Science of the University of Montenegro. She has wide experience in the international human rights system, most notably as a member (since 2015) and Vice President (since 2017) of the United Nations Human Rights Committee, which supervises the ICCPR. From the perspective of coherence of international human rights law, this election may therefore offer opportunities. I wish her all the best in her new position! At the High Level Conference meeting in Copenhagen on 12 and 13 April 2018 under the Danish Chairmanship of the Committee of Ministers of the Council of Europe, the Copenhagen Declaration was adopted. 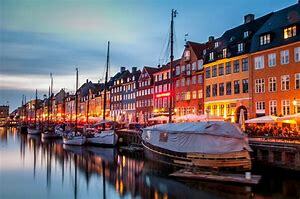 This Declaration was much anticipated, as the draft version issued on 5 February 2018 by the Danish Government was heavily criticised. Academics (on EJIL:Talk!, Strasbourg Observers and ECHR Blog, UK Strasbourg Spotlight and Verfassungsblog), NGOs (see also the Director of ICJ, the Executive Director of Open Society Justice Initiative and the Danish Helsinki-Committee of Human Rights), national human rights institutions, members of national parliaments in PACE and civil servants expressed grave concern about the harm the draft Copenhagen Declaration could do to the Court’s independence and authority, about its misconstruction of the Court’s jurisdiction and role (especially when defining the Convention system’s subsidiary nature), its potential to undermine the universality of human rights, and its objective of installing new channels of ‘dialogue’, which could have the effect of exposing the Court to undue political pressure by national governments. Overall, most commentators agreed that the initial draft, if adopted as such, would damage the Convention’s system of protection of human rights in Europe as a whole. It has now turned out that much of this criticism was shared by a large number of States. Prior to its adoption, intense negotiations and redrafting took place in the Drafting Group on the draft Copenhagen Declaration. The States critical of the initial draft succeeded in fundamentally improving it, deleting or watering down the most criticised features of the initial draft and changing its overall tone. In fact, a text comparison makes clear that the Declaration has been almost entirely rewritten. It appears that the Danish Government’s fundamental criticism and its reform agenda were not received with much enthusiasm across Europe. On the contrary, the States Parties visibly have chosen not to endorse this reform agenda. Illustrative is the insistence of the Luxembourg Minister of Justice that the adopted Copenhagen Declaration would not receive the support of Luxembourg if it could be read or even perceived as a limit that politicians would like to impose on the power and authority of the Court. One of the most striking differences between the initial draft and the final version of the Declaration concerns the notion of subsidiarity. The initial draft viewed the Court’s role exclusively through the prism of subsidiarity. This in fact was a skewed prism, as one of the authors demonstrated in this comment series: the draft did not realistically reflect the foundations of the Convention system, the meaning of the notion of subsidiarity and the actual use of the margin of appreciation doctrine by the Court. This misapprehension also extended to the Courts’ more recently developed process-based approach, which is closely related to these long-established doctrines. In rewriting the initial draft, references in the initial draft to the principle of subsidiarity and the margin of appreciation have been removed (paras. 4, 8, 9, 12, 22, 26 and 29 of the initial draft) or reworded (paras. 5, 10, 13, 14, 17, 23, 24, 25, 27 and 28 of the initial draft) in the final Copenhagen Declaration (paras. 4, 7, 8, 10, 13, 28 and 31). The end result constitutes a complete overhaul. Instead of instructing the Court on how it should apply the margin of appreciation and when it should avoid intervening, the final Declaration reiterates the Court’s jurisprudence on the principle of subsidiarity and the margin of appreciation (para. 28). Controversial paragraphs on how the Court should approach asylum and immigration cases have been deleted (paras. 25 and 26). The final Declaration also no longer ‘welcomes and encourages that subsidiarity is increasingly playing an influential role in the Court’s case law and as an organising principle for the Convention system’ (para. 12 of the initial draft). Rather, it ‘reiterates that strengthening the principle of subsidiarity is not intended to limit or weaken human rights protection, but to underline the responsibility of national authorities to guarantee the rights and freedoms set out in the Convention’ (para. 10 of the Copenhagen Declaration). The resulting paragraphs mainly reflect the European consensus on subsidiarity that is already expressed in earlier declarations. However, the upshot is that it does do little more than this. In a time where we are witnessing a clear regression of the rule of law and of the effective enforceability of human rights in an increasing number of States Parties, the Copenhagen Declaration missed an important opportunity to give a strong signal to the States. These national developments have been reduced to a problem of national implementation of the Convention (see e.g. para. 12) and of execution of the Court’s judgments (see e.g. para. 20) and to a caseload challenge for the Court (see e.g. para. 45). In addition, although the onus is now more clearly on the States to implement the Court’s judgments, as Ed Bates has suggested, it can only be ‘hoped that the States will now put their full energy, effort and attention into backing the Convention system going forward’. Another much criticised aspect of the draft Declaration was the way it gave shape to the need for dialogue between the States Parties and the Court. The draft proposed that: (1) States Parties should be able to indicate their support for the referral of a Chamber case to the Grand Chamber (paras. 35 and 38), (2) States Parties should increase their third party interventions, especially in important and principled cases before the Grand Chamber (paras. 34 and 39-40), (3) States Parties should discuss the general development of areas of the Court’s case law of particular interest to them and, if appropriate, adopt texts expressing their general views (paras. 32-33 and 41), (4) States Parties should hold a series of informal meetings to discuss relevant developments in the jurisprudence of the Court (para. 42). 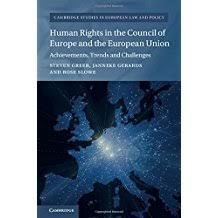 By doing so, the draft text went far beyond the conventional mechanisms for dialogue and in fact aimed to ‘rebalance’ the power between (the executive branch of) the States Parties and the European Court of Human Rights, as was detailed by one of the authors in this comment series as well as by the Court itself in its opinion on the draft Copenhagen Declaration (paras. 15-16). When contemplating new ways for national governments to interact with the Court, States Parties have to be very careful about the potential repercussions on the Court’s independence. In no way should such proposals be a pretext for institutionalising ways for national governments to exert undue political pressure on the Court. For this reason, it is good news that the most controversial new way for national governments to interact with the Court has been deleted. The final Declaration no longer ‘encourages States Parties to discuss the general development of areas of the Court’s case law of particular interest to them and, if appropriate, adopt texts expressing their general views’ (para. 41 of the initial draft). Also, there will no longer be ‘a series of informal meetings of States Parties before the end of 2019’ to discuss ‘relevant developments in the jurisprudence of the Court’ organised and hosted by the Danish Chairmanship (para. 42 of the initial draft). Instead, the Danish Chairmanship will ‘organise and host, before the end of 2018, an informal meeting of the States Parties and other stakeholders, as a follow up to the 2017 High-Level Expert Conference in Kokkedal, where general developments in the jurisprudence of the Court can be discussed, with respect for the independence of the Court and the binding character of its judgments’ (para. 41). At the same time, some problematic proposals have been retained. The final Declaration still invites ‘the Court to adapt its procedures to make it possible for other States Parties to indicate their support for the referral of a Chamber case to the Grand Chamber when relevant’ (para. 38; para. 38 of the initial draft). As noted previously, one can question whether it is appropriate to ‘invite’ the Court to alter its own procedures, especially when the Court has not given its clear support to this. Moreover, the proposal was not amended to ensure that other stakeholders were given the same privilege to allow for a balanced mechanism, as was also suggested previously. A way to achieve this could be through opening up this mechanism by allowing ‘any person concerned who is not the applicant’ (cf. Article 36 (2) ECHR) to indicate their support for referral of a Chamber case to the Grand Chamber, as proposed by Lize Glas in this comment series. Once such support has been issued by a State Party or a person concerned, any State Party or any person concerned should also be able to indicate why a judgment should not be referred. On a more positive note, just like the draft, the final Declaration underlines that the execution of judgments is a key obligation. Also, it encourages involvement of civil society in the dialogue on the implementation of the Convention. The value of this has been clearly explained in Antoine Buyse’s contribution to our comment series. In addition, the Declaration encourages both ‘the Court to support increased third-party interventions’ (para. 39) and the States Parties to ‘[build] the necessary capacity [to increase coordination and co-operation on third-party interventions] and [communicate] more systematically through the Government Agents Network on cases of potential interest for other States Parties’ (para. 40). The Copenhagen Declaration can thus be used as a foundation to further highlight the proper ways for States to engage in a dialogue with the Court via third party interventions, and invigorate this underused possibility. Perhaps the most important practical addition to the draft version is the express acknowledgement in the final Declaration of ‘the importance of retaining a sufficient budget for the Court, as well as the Department for the Execution of Judgments, to solve present and future challenges’ (para. 52) and the call made upon the States Parties to ‘consider making voluntary contributions to the Human Rights Trust Fund and to the Court’s special account’ (para. 53). Compared to the draft version, these invitations are both broader (the draft version only referred to the Court, not to the Execution Department, see para. 52) and more specific. Indeed, especially now that the Russian Government has withdrawn its financial contribution to the Council of Europe, lack of budget is one of the greatest threats to the continuing effectiveness of the Convention system. It is therefore certainly to be welcomed that this concern is now addressed. At the same time, the text of paras. 52 and 53 is very vague and weak. There are no guarantees that the Court’s and the Execution Department’s budgetary worries are over, especially considering that extra contributions only need to be made on a voluntary basis. The Outlook for the Future? Overall, thus, it is obvious that the text of the final Copenhagen Declaration is very different from the draft version and it is far less problematic from the perspective of European protection of fundamental rights. There is great political value in this. 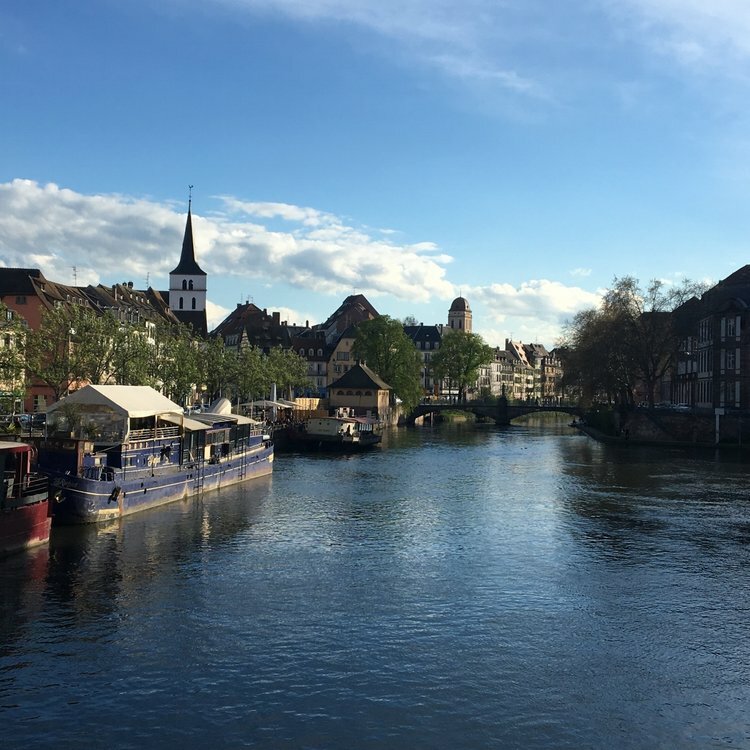 To many States, the Copenhagen High Level Conference offered considerable opportunity to reaffirm their adherence to the Convention system and its underlying principles. Perhaps even more importantly, it showed that the Danish efforts to tone down the importance of the Convention system have backfired. If anything, the final Declaration exposes that the criticism of governments such as the Danish is not widely shared. At the same time, at many points, the Declaration is still problematic or weak, and from a practical perspective, we could easily have done without the Declaration. Indeed, in our first blogpost in the series on the draft Declaration, we already explained that organising High Level Conferences seems to have grown into something like a ritual. These conferences always appear to result in declarations containing a cocktail of more or less the same ingredients. These declarations have had considerable impact in the beginning, but due to the lack of new ideas and ingredients, this is increasingly less so. The final Copenhagen Declaration seems to prove the truth of this analysis. All topics addressed in the Declaration can be found in earlier High Level Declarations and action plans, often even in more or less the same wording, and no really new or exciting solutions and ideas have been presented. Indeed, it makes clear that, if the aim really is to safeguard the long-term effectiveness of the ECHR system, it would have been more useful to invest the available time, energy, resources and political capital in actually implementing all action plans and recommendations previously adopted. It is just to be hoped that this will be the course pursued in the coming years. Please note that the views expressed by Sarah Lambrecht here are personal to the author. This commentary was published earlier on Strasbourg Observers. 'CSOs are accorded a critical role in the Council of Europe’s (CoE) process that underpins the supervision by the Committee of Ministers (CM) of the implementation of these judgments (known as the CM judgment execution process). This is made possible under Rule 9.2. of the Rules of the CM. However, there is little readily accessible information on how this process works and how CSOs can engage with it to best effect, with the result that this powerful mechanism for implementing human rights is very underutilised. The aims of the seminar are to equip CSOs to use the CM judgment execution process to support full and effective implementation of ECtHR judgments; and to share best practice on advocating for implementation at the national level. The CM execution process and the role of NGOs. How to use Rule 9.2 submissions to push for effective implementation at national level: case studies. Rule 9.2 submissions: group exercises on developing general measures and/or responses to non-implementation. The session is aimed at helping participants who have not engaged with the CM judgment execution process to do so – gaining advice from other participants. Advocacy: EIN and Strasbourg-based advocacy, advocating for improved implementation structures at the national level. group exercises to help participants starting work on a new case to develop the content and recommendations they should include in their written submissions to the CM (i.e., Rule 9.2 submissions). Staff of civil society organisations working on, or planning to work on, implementation of ECtHR judgments; independent lawyers supporting civil society organisations in these activities. The impact resulting from full and effective implementation of any cases their organisation is supporting. Participants will be limited to one per CSO and are required to have a good working knowledge of English. They must be present for the full duration of the seminar. Please note that EIN will be conducting further training seminars on an ongoing basis. Applicants not selected will be able to apply for a later seminar. CSOs that are supporting cases currently before the ECtHR should also consider applying for future EIN training seminars as and when their cases are settled. EIN will cover the costs of participants’ travel, accommodation, food and visas. Guidelines on the funding procedure will be provided to selected participants. Please complete the application form and return to Agnes Ciccarone (aciccarone at einnetwork.org) by 26 April 2018. Please also arrange for your organisation to send a letter supporting your application, confirming that you have a good working knowledge of English and can be present for the full duration of the seminar. Last week, the High Level Conference meeting under the Danish Chairpersonship of the Committee of Ministers took place in Copenhagen (12-13 April). The final text of the Copenhagen Declaration was adopted at that occasion. As readers of this blog will know, this was done after lots of diplomatic wrangling as well as online academic and expert debate. 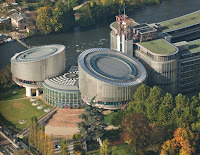 see the earlier comments series on the ECHR Blog. My initial thoughts are that the Declaration truly reads as a political compromise. Most of the much-criticised parts of earlier drafts have been left out in the end. The results is a smoothened text, with the hard edges polished away and not much new to show. Rather it reads as a summary of well-known developments and very general statements of the last few years. In a way, this very much echoes the earlier trajectory that led to the Brighton Declaration a few years ago. 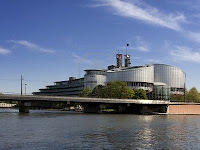 In that latter case, the United Kingdom, like Denmark currently, started out with a very critical agenda towards the Court and it was very much through external pressure of civil society and diplomatic efforts of other ECHR state parties that the final text also presented much less news than originally anticipated. One can only hope that these types of so obviously domestically-driven charges (e.g. concerns about migration cases) at the Court and subsequently mitigated by other key actors will not be the way ahead for the future. Although it does bring out various key discussion points and concerns, much effort gets put into wrangling about diplomatic texts rather than focusing on truly improved implementation at the national level - an aim virtually all high-level declarations in this context claim to strive for. For initial commentaries, see also Ed Bates on UKStrabourgspotlight and Geir Ulfstein and Andreas Follesdal on EJILTalk! 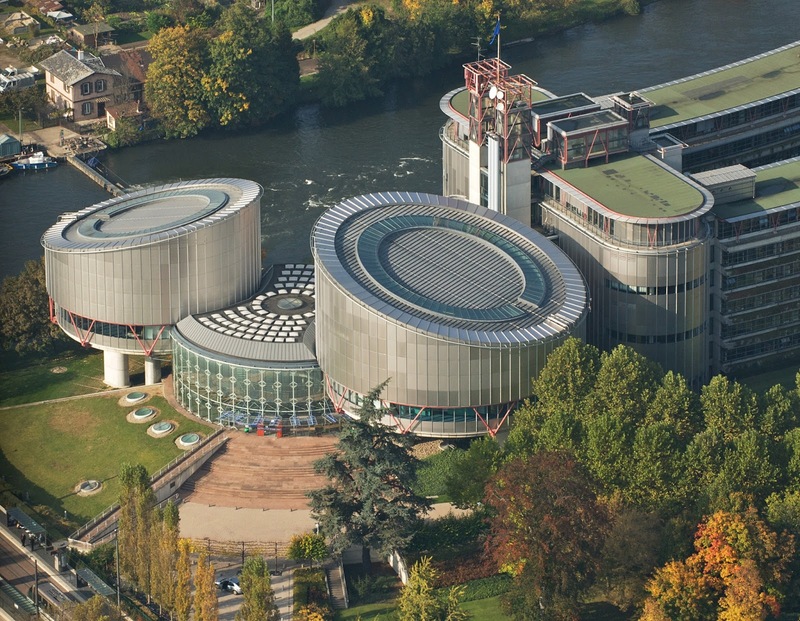 The ECHR Blog will publish a more extensive guest comment later on this week.